The Government needs to focus on building a social recovery and politicians should develop a long-term vision for the country, Minister for Social Protection Leo Varadkar has said. 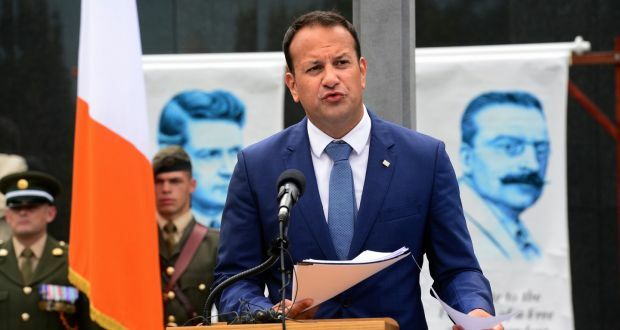 Delivering the oration at the Collins/Griffith Commemoration in Glasnevin Cemetery in Dublin on Sunday, Mr Varadkar said increasing taxation would not be the solution to all of the country’s social deficits. He said a “functioning tax system should both encourage business and reward individuals as well as providing for those who need protection. “Increasing general taxation is not the solution to all of our social and problems and infrastructural deficits and increasing it too much creates a problem in itself,” he added. “Collins recognised that ‘the essence of our struggle was to secure freedom to order our own life’. And that is the vision that should be at the heart of our thinking in the 21st century. The Minister said it is the role of the Government to make that happen and to “provide freedom and opportunity”. Mr Varadkar added: “Without economic freedom and prosperity we cannot have real independence. “ And without freedom to order our own lives, any improvements in the economy will be meaningless. “It is a difficult challenge. But it is achievable if we recognise that we need sound economic policies to achieve better living conditions for all our citizens and that social justice and inclusion, in turn, help to build a stronger more sustainable economy. “A virtuous circle of sorts. Economic gains on their own, without a vision for society to accompany them, will result in a squandered prosperity that will ultimately be unsustainable. We had that during the boom years. In what is being perceived as a significant speech Mr Varadkar said the Government must build a true enterprise economy, where people are “rewarded for hard-work, innovation and excellence, and are supported, not hindered, by the state in providing for themselves and their families”. He said a united Ireland can be achieved at some point in the future but not through a border poll. He said he shared “the vision of An Taoiseach that foresees a united Ireland at some point in the future, and I share his belief in how it should be achieved. “Through respect and consent, by accepting the identity of the minority tradition and honouring their values by finding a special place for them to thrive, not through assimilation or the crude majoritarianism in a border poll,” Mr Varadkar said. The issue of a border poll, a referendum on the future of Northern Ireland’s place in the United Kingdom, emerged following the United Kingdom’s vote in June to leave the EU. Speaking at the MacGill summer school in Glenties Co Donegal in July, Mr Kenny departed from his prepared script to raise the prospect of a border poll at some point in the future. However he stressed that the conditions for such a vote did not exist at present, and he did not favour a vote at present. In Glasnevin on Sunday, Mr Varadkar said: “The only way we will achieve real unity is by respecting the different traditions, identities and values on this island, not by trying to obliterate them. “It was easy for some to jump on the Brexit result, and use it to make a land-grab for Northern Ireland. And it was counterproductive. Often the people who speak loudest about republican values, are the least when it comes to honouring them. The inclusive vision of Griffith is better than the opportunistic rhetoric of assimilation, and it is the only chance we have of securing lasting peace and achieving genuine unity on this island,” Mr Varadkar added. The 94th annual commemoration remembered both Michael Collins andArthur Griffith. Collins, who served as minister for finance in the first Dáil in 1919 and who was a member of the Irish negotiating team and a signatory of the Anglo Irish Treaty, was shot dead in an ambush at Béal na mBláth in Cork on August 22nd, 1922. Griffith, founder of Sinn Féin and president of the Dáil from January to August 1922, died 10 days before Collins’s assassination and was buried at Glasnevin. 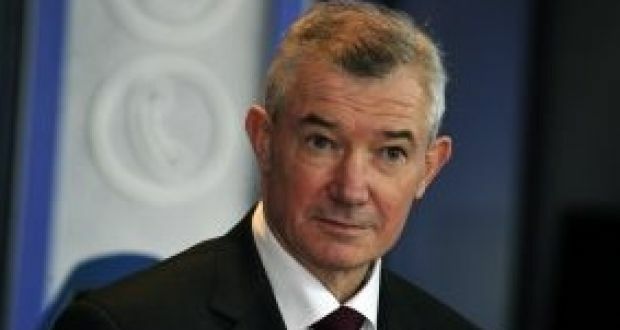 Richie Boucher, chief executive of Bank of Ireland: the bank said its decision to charge large corporate and institutional customers for deposits is due to the European Central Bank’s decision to levy a negative interest rate of 0.4% on overnight deposits. Richie Boucher has never been afraid to stand out from the crowd, which might explain Bank of Ireland’s decision to begin charging large corporate and institutional customers for holding deposits with the institution. From October 10th, a rate of 0.1% will be charged to customers who hold deposits of €10 million or more with the bank or have multiple deposit accounts with it, regardless of the sums involved. It is thought to affect only a small number of customers. 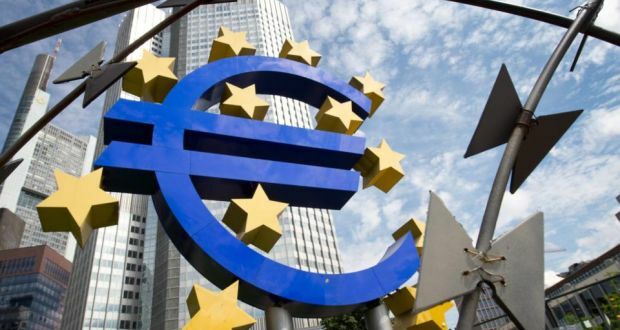 Bank of Ireland has told customers that this is the result of the European Central Bank’s decision earlier this year to levy a negative interest rate of 0.4% on overnight deposits. It turns out that Ulster Bank has been quietly charging large corporates in the Republic for holding deposits with the bank for some time now. This might have been its parent, Royal Bank of Scotland, testing the waters as it emerged on Friday that the institution plans to charge large corporates in the UK for their deposits from Monday. And we know that some banks in Germany and other European countries have begun introducing negative interest rates. This all stems from the ultra-low interest rate environment that we’ve been living with since the global financial crash in late 2008. Many central banks around the world are now charging negative interest rates in the hope of persuading investors and companies to put their money to other uses that might generate them a return and also stimulate economic activity. It’s also a factor of the banks having ample access to liquidity at a time when lending in Ireland is sluggish. They arguably have too much money in their vaults at a time of muted lending demand. Nonetheless, Bank of Ireland is setting itself out from AIB, its biggest rival in the Irish market. AIB, which is 99 per cent State owned, is not charging a negative interest rate on its deposits and says it has no plans to do so. Will those corporates affected by the Bank of Ireland charge switch to AIB? Possibly but a lot will depend on the nature of the business relationship between the bank and the customer. It will certainly encourage them to interrogate their banking arrangements in some detail and possibly rationalise their accounts. The fear among the business community is that this might be a slippery slope to the banks eventually charging us all for the privilege of housing our deposits with them. This seems unlikely in the case of personal customers, given the political storm that would most likely erupt given that taxpayers bailed out the sector to the tune of €64 billion. But SMEs might yet find themselves in the firing line if the ECB’s effort to stimulate European economies continues to yield meagre results. Galway has embraced electronic and electrical waste recycling and leads the way in Ireland. Galway city and county is embracing the world of recycling by almost doubling the targets set by the EU for electrical and battery waste. In all, over 1,850 tonnes of electrical waste was collected throughout the county for recycling – adding to Ireland’s growing reputation as a recycling champion. An average of more than eight electrical items were collected for recycling from every household in the city and county in 2015 – that’s a 17% increase on the previous year. That 1,850 tonnes works out at an average of 7kg of electrical waste being recycled per person in Galway in 2015, almost double the original EU target of 4kg per head, according to the latest figures from WEEE Ireland released this week. And approximately 75% of Galway householders are now actively recycling their electrical and battery waste. Irish consumers are now recycling 15% more than they did four years ago – putting the country on top of the EU table. Over 250 tonnes of electrical waste came from WEEE Ireland collections days that were held throughout the whole county. WEEE Ireland collected approximately thirteen million household appliances for recycling in 2015 alone. Irish retailers account for over half of the waste collected showing a significant increase documented in the twelve-month period from 2014 to 2015. This means that Ireland has the highest percentage take-back through retailers in the EU. WEEE Ireland’s report also shows that an equivalent to 28 million AA batteries and three million lamps were collected for recycling during 2015. “These results are hugely encouraging and show that Irish householders and retailers alike are well ahead of other European countries when it comes to recycling. Ireland can proudly say that more than any other EU country we have taken a lead in this area,” said WEEE Ireland CEO Leo Donovan. WEEE Ireland also noted a number of recycling challenges. These included the fact that only 25% of small electrical and electronic waste items are being recycled. Toys, tools, small appliances, energy saving light bulbs and portable batteries are being either hoarded or sent to the landfill, and this is where householders can make a real difference keeping recyclables out of refuse. 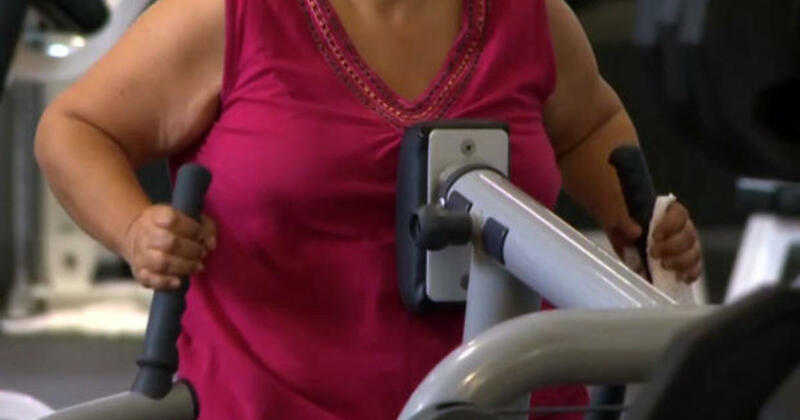 New research has indicated that previous assumptions that it is possible to be obese while remaining otherwise healthy may not be accurate. The Karolinska Institutet study provided evidence that white fat tissue samples from obese individuals classified as either metabolically healthy or unhealthy showed nearly identical abnormal changes in gene expression in response to insulin stimulation. Recent estimates suggest that up to 30% of obese individuals are metabolically healthy and therefore may need less vigorous interventions to prevent obesity-related complications. High sensitivity to insulin which promotes the uptake of blood glucose into cells to be used for energy, is considered a hallmark of metabolically healthy obesity. However, this new research casts fresh doubt on whether any such thing exists, indicating that insulin-sensitive obese people may not be as metabolically healthy as previously believed. Researchers will now examine the outcomes of these patients following bariatric surgery to determine whether weight loss normalises their responses to insulin. An ancient Bosnian pine, nicknamed Adonis by researchers, has been dated to about 1,075 years old, making it the oldest known tree living in Europe. 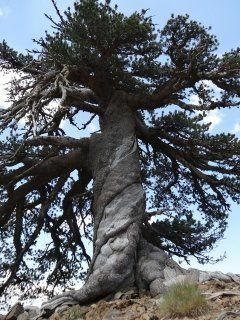 European history has had one continuous observer for more than a thousand years: a pine tree in Greece. Dendrochronologists have calculated the tree’s age to be at least 1,075 years old, making it the oldest tree in Europe. This little pine, nicknamed “Adonis,” has seen world wars, a century of revolutions, the Protestant Reformation, the Crusades, and a good chunk of the Dark Ages. He’s referring to trees that repeatedly clone themselves, so a tree living now is genetically identical to one living more than 10,000 years ago. Tree systems like those have been called the oldest trees in the world, but the individual trees live only a few hundred years before asexually spawning a replacement clone. This tree has, itself, lived through more than a thousand years of history. Some other trees have been estimated to be a lot older than Adonis, but therein lies the rub. Estimation does not make an ancient tree, at least in the eyes of scientists. This tiny tree creates one new trunk ring each year, making it comparatively easy for scientists to determine its age. According to Mr. Krusic, who was part of the team that counted tree rings for the study, Adonis is actually more than 1,075 years old. The scientists who took the pencil-sized core samples from Adonis’ tree trunk didn’t reach the center of the tree, so it has more rings that they couldn’t count. Elderly trees are rare in Europe, although they are relatively common in other parts of the world, including the United States. The reason has a lot to do with humans – the more human traffic there is in a region, the more likely a tree is to be chopped down for a human purpose, whether firewood or construction or to make room for development. In Greece, Adonis and its neighbors are just a few miles from civilization, making their survival all the more unusual. Their proximity is very interesting to researchers, who plan to study fallen trees nearby to determine the what fingerprints humans have left on the region. Scientists say that many of the trees in the ancient Greek forest where Adonis was discovered are remniscent of elderly trees they have seen in the United States. And, as it happens, Adonis lives in nature’s version of a retirement home – several of Adonis’ neighbors are also around 1,000 years old. Elsewhere, scientists are using trees to push back against human influence. In 2009, The Christian Science Monitor’s Andy Nelson reported on dendrochronologists in Vietnam, who use wood dating in ancient Vietnamese forests to monitor how forests have responded to monsoon seasons and precipitation. More recently, in California, researchers seeking to understand how trees can combat drought and climate change have looked to the state’s famed sequoia trees, which have withstood extreme conditions while performing essential services to the environment, providing homes for countless animals and converting carbon dioxide into oxygen.